LGBTQIA+ Student Services offers a number of awards and scholarships to LGBTQIA+ and allied-identified students, staff, and faculty. All awards are open for applications and/or nominations in mid-spring semester, and the recipients are recognized and honored at Lavender Celebration in April. The Karen Neitge Scholarship, in the amount of $300.00, is awarded annually to a current student of any class, major, or program. The Scholarship criteria are based upon academic achievement (minimum of GPA of 3.0 needed), financial need, and a commitment to issues of social justice, particularly in the areas of gender expression, gender identity, and sexual orientation. The Karen Neitge Scholarship was endowed in 1996 by Karen Neigte Holt, a 1990 alum of Augsburg. 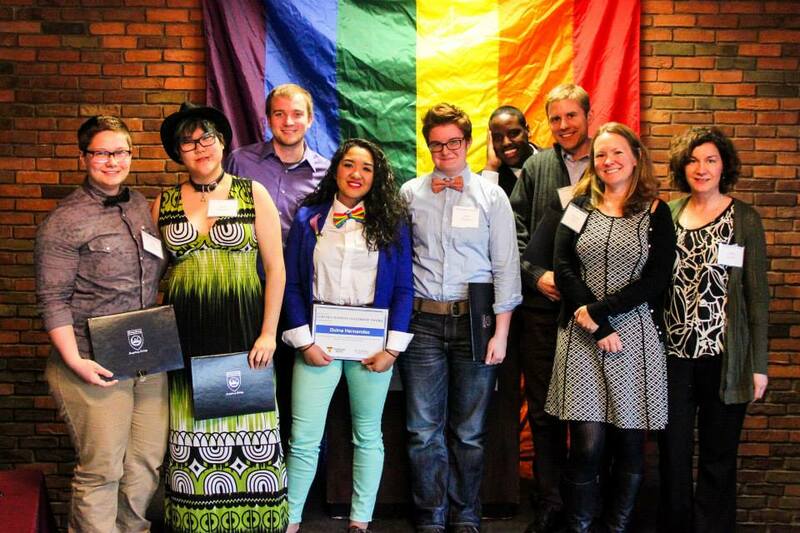 The LGBTQIA+ Student Leadership Awards are awarded annually to several students of any class, major, or program. The Awards criteria are based around LGBTQIA+ and social justice leadership and activism on campus. The Augsburg Pride Award is awarded annually to a staff, faculty, department, or student organization at Augsburg that has shown a commitment to advocacy, visibility, equity, and justice for LGBTQIA+ individuals at Augsburg.